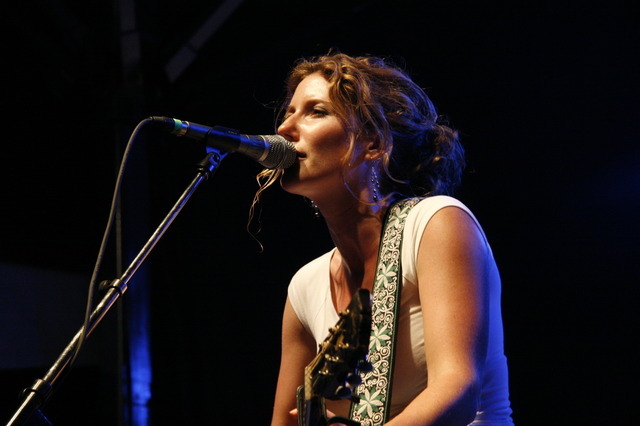 Kathleen Edwards plays the Drake Hotel Underground tonight. Photo by Michael Schipper. MEETING: The ATU (the union representing TTC workers) has wrapped up its Town Hall consultations with the public; now it’s Toronto Police Services‘ turn. Organized by 51 Division and members of the LGBT community, the meeting will be hosted by chief William Blair, who will take questions from local residents concerning community policing. Hot button topics could include compassion club busts, G20 security measures, and the lack of progress in the unsolved murder of Chris Skinner. 519 Church Community Centre, 6 p.m., FREE. READING: The 7th annual Potluck Festival runs all this week, showcasing new work by emerging and established Asian-Canadian playwrights. Producing company Fu-GEN tonight previews David Yee’s R.H. Thomson’s: How To Become Chinese (for Funding Purposes). Christopher Stanton (who recently directed Yee in The Room‘s Red Machine: Under the Knife for Harbourfront Centre’s Hatch series) plays the titular real life Canadian stage celebrity, giving a lecture on how to “fake” an ethnicity. Factory Theatre (125 Bathurst Street), 8 p.m., $10. DANCE: The final show in Harbourfront Centre’s World Stage series is a kinked up reworking of the classic ballet Giselle, by controversy courting choreographer Michael Keegan-Dolan. The artistic director of Irish company Fabulous Beast also recently turned The Rite of Spring on its ear in London, garnering polarized reviews. This “new” Giselle features a reworked synthesizer score, gender reversed supporting characters, and a leading man as interested in other men as in the titular ingenue. Fleck Dance Theatre (207 Queens Quay West), 8 p.m., $40. FILM: Hot Docs continues today, and so does Torontoist’s coverage of it. Get more Hot Docs right here.